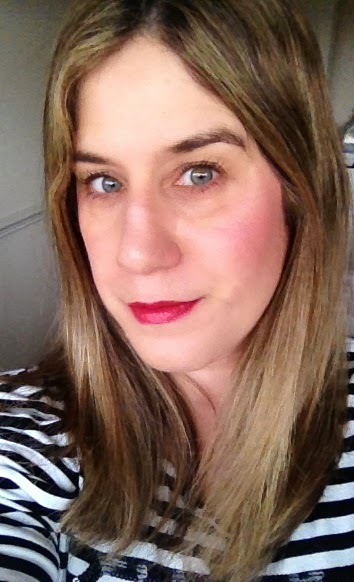 I am loving this pretty blush palette from No7 - Peony Petals Blush Palette. 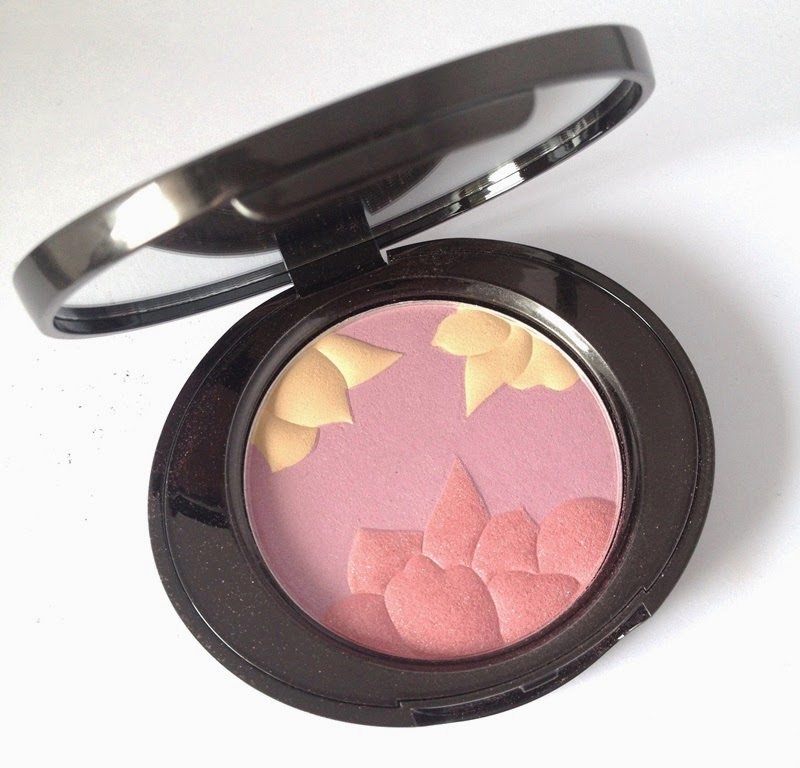 It has 3 shades, 2 pinks and cute gold highlighting petals. 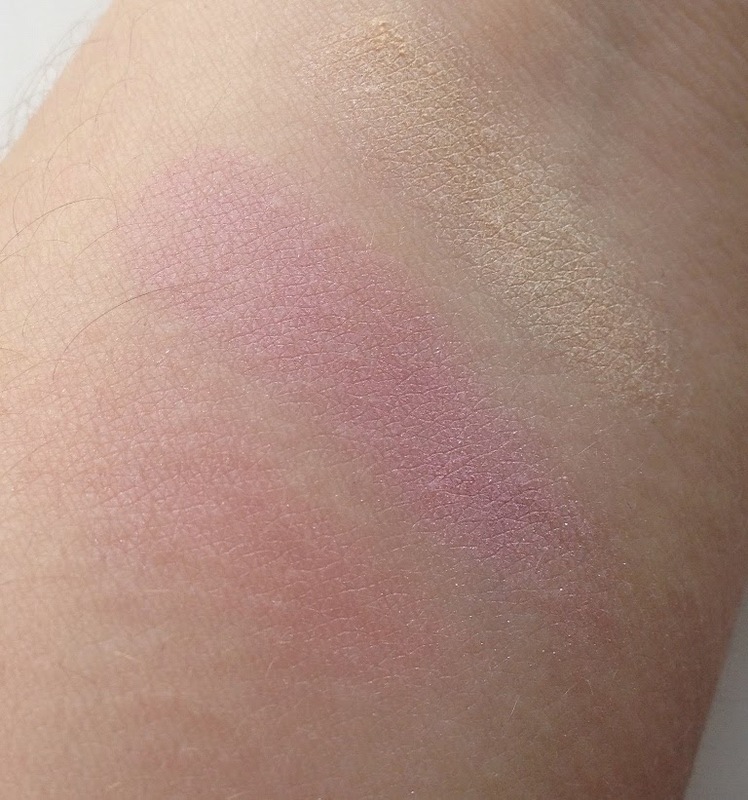 It is rather subtle as you will see from the swatches but can be built up for a stronger colour. I like to blend all three for a shimmery, radiant look or swish my brush in the two pinks and add the gold highlight shade on the tops of my cheeks. Wearing it below with a strong lip, I think it is really flattering. I think it is a really versatile blush, apply the purple/pink for a cooler tone, warm it up with the softer pink or swirl in all three. That's really pretty! Must remember to pick that up next time I'm in Boots.